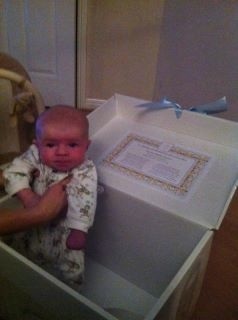 An ideal gift for your own child or the birth of a friend or relatives baby. 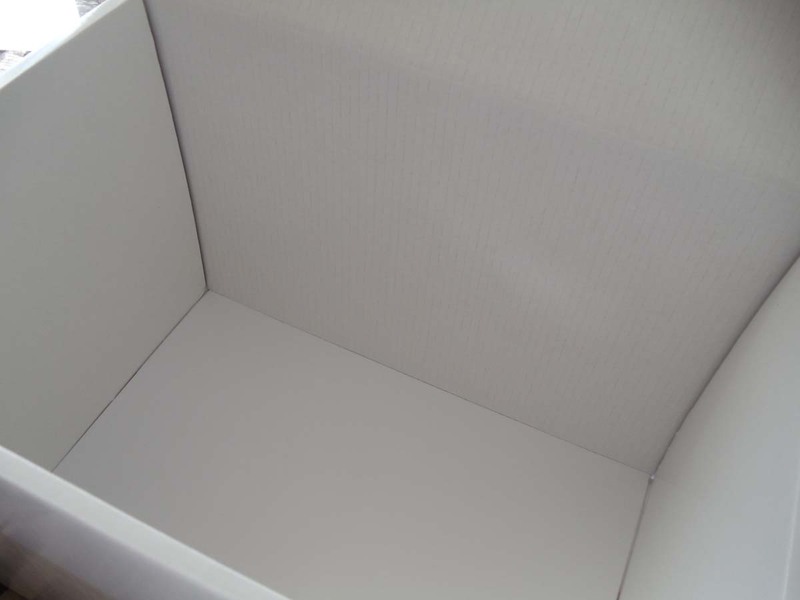 A special place to keep all those early memento's - please see our verse below which suggest some of the items which you may wish to keep in this box. 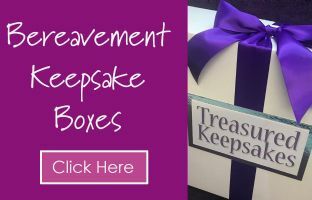 Whatever the age of your child, it is never too late to start gathering those little bits and pieces which may be strewn all over the home, and place them safely in this beautiful box. 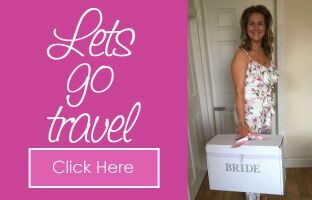 We can mail a box direct on your behalf and include a personalised message of up to a maximum of twenty words. Simple, strong and durable our boxes are made from pH neutral corrugated board. 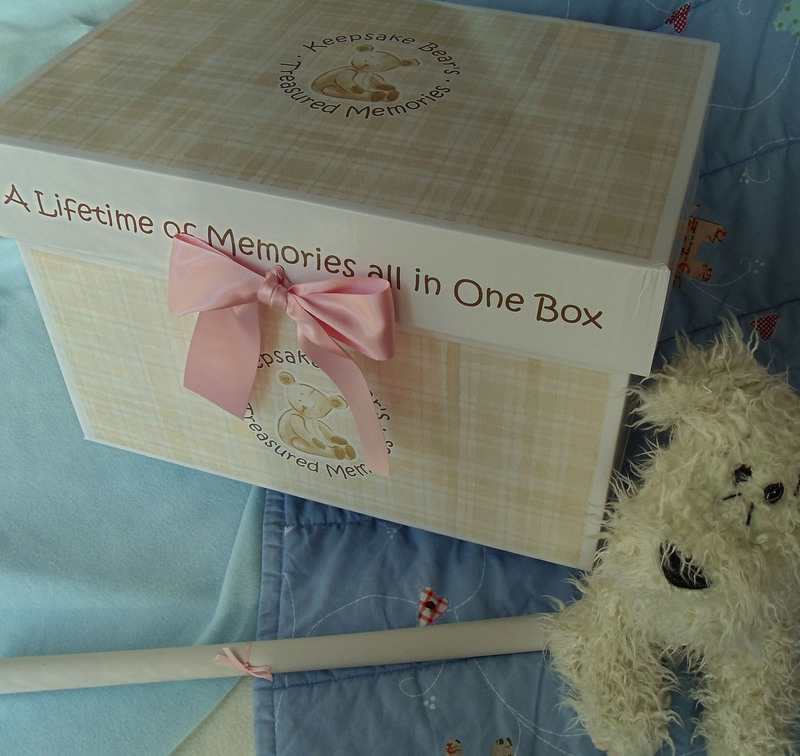 · Personalisation of the box with the name of the child, date, time and weight at birth. · Pink or Blue ribbon. · 10 sheets of acid free tissue. · Economy 2 - 4 day delivery service. 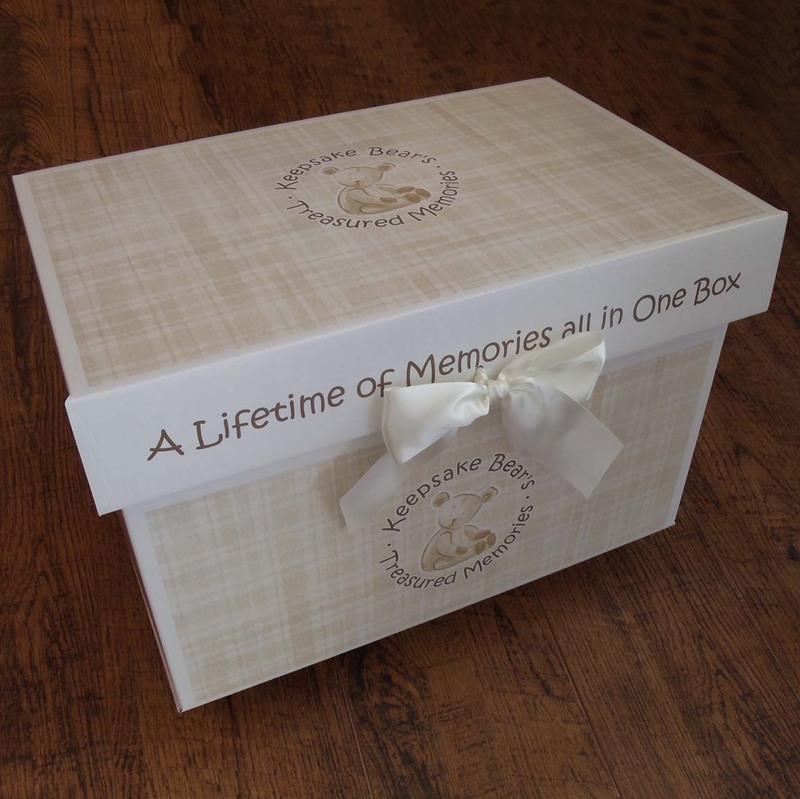 Personalisation is in the form of a printed label which is placed inside the lid of the box. The box is not supplied flat pack - it arrives ready for use! A lifetime of memories tidy and neat. Baby grow and your cuddly bear. Birthday cards and comfort rag. The scan of you inside your Mummy. Play school gifts that you make. The swimming award, won aged eight. Love letters that made you sigh. 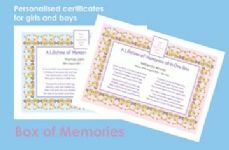 They’re found in your Life Memories box. 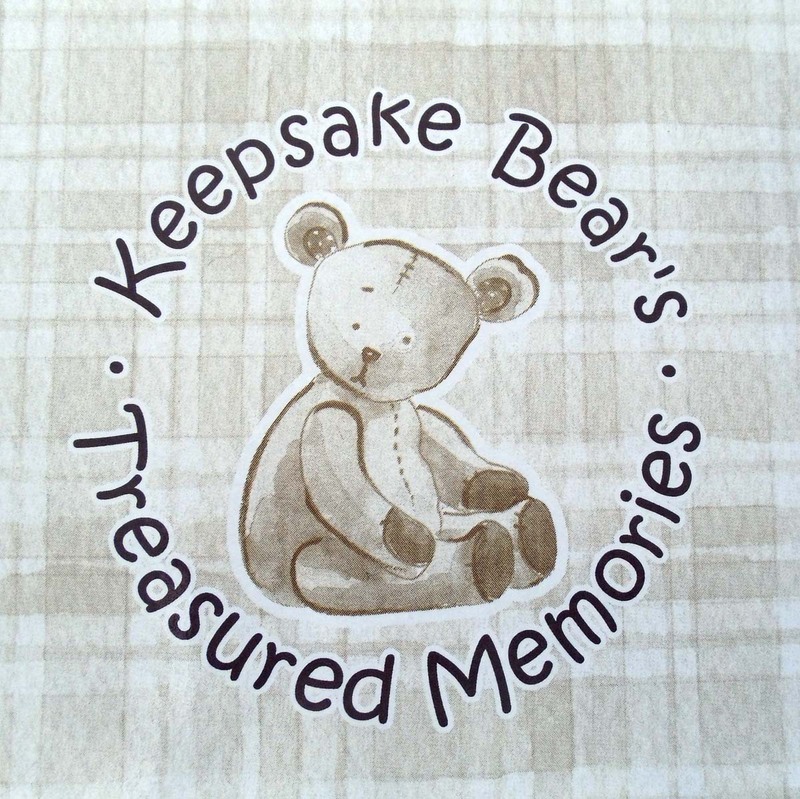 Personalisation and verse is presented as a self adhesive label which we stick inside the lid.